Art Camps for students ages 7-11. Summer camps are a week-long immersion into a particular artistic genre or media. The summer curriculum was mindfully created with the intention of growth in technical, conceptual and fine-motor skills- all in a fun and relaxed environment. Aug 18 Copic class with Laura Griffin – Christmas projects! Registration is open for the August 18th Copic Club class (to be held from 9:30-11:30 a.m. at the Jaycee Arts Center in Irving, TX). During last month’s class – we talked about doing either a pop-up card or a Christmas project. I decided to give you both! Learn how to use & setup a Square reader, and how to create an online store. Discover the different methods of selling your art & hand made products. Learn to photograph, edit, and create a room mock-up all with your iPhone and Photoshop. 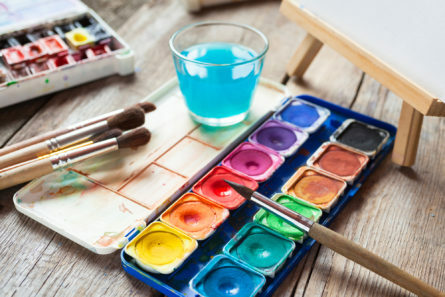 This summer, kick your creativity into high gear at the Greater Denton Arts Council with art, guitar, and dance classes. All supplies provided, class size is limited. Come Drink and Draw with us! The first hour will be quick gestural poses followed by a two hour long pose. Date: Every third Thursday of the month. Get on the trend of florals and fonts with artist Emily Henney! Learn step by step how to paint pretty fonts and floral swags using acrylic paint on canvas. Join National Artist, Deanna Thibault in her 3 part creative mixed media and collage class. Class focuses on card making and canvas mixed media pieces. Enjoy the professional input from this artist as she helps with placement, color and building a tapestry in paper and textures. All supplies will be included! Paint with light and explore abstract concepts with watercolor paint in this fun workshop for beginners to advanced painters. Try out different papers, brushes, tools, and techniques and combine planning with spontaneity to create two or more paintings with energetic compositions and confident brushwork. All art supplies are provided. Go to robertmooreartclass.blogspot.com for more info and pinterest.com/rmoore321 for gallery.